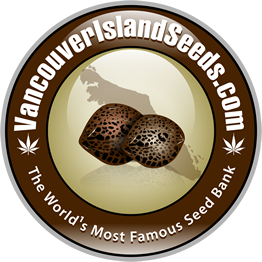 Vancouver Island Seed Bank Review is another winner. The breeder grew up on Vancouver Island, so he was always growing up in an environement with cananbis since his childhood. Breeding local genetics from Vancouver Island sets its seed bank apart from the rest. They are a stable company with stable strains. Perfect for every indoor AND OUTDOOR GROWER. 5 days my seeds arrived to South italy. pretty quick for such a long journey. i grew their white widow outdoors, it was a nice balance of energy and buzz. and I already got them started indoors so I’ll be ready for planting in April outdoors.